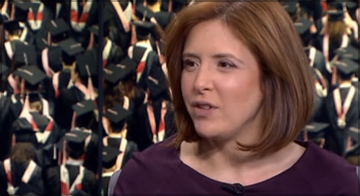 There was a great story on Bloomberg TV last week, about the darker side of college early admissions. About 10 years ago, schools like Northwestern and Duke were taking about a quarter of their students as binding early decision, and this year they're up to about half. This year Penn took 54% of their applications early decisions, so half the spots are gone by January. But as Lorin goes on to say, this creates a situation that definitely favors the rich. How so? You'll need to watch the video to find out. We'd love to hear your thoughts. Do you think early admissions favors the rich?